Women United in Philanthropy was formed in Charlottesville in 2005, in partnership with United Way-Thomas Jefferson Area. 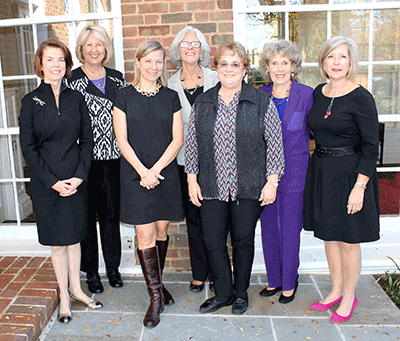 The group first gathered with the goals of fostering women’s philanthropy and helping the Charlottesville/Albemarle area by addressing human service needs through collective donations. Our mission is to engage with like-minded women, learn about philanthropy, and leverage collective giving for local women and children. Women United in Philanthropy is an heterogeneous group in age, vocation and income. Our members range from their late twenties into their eighties and work all over town in schools, businesses, at UVa, in private practice, social services, as stay-at-home moms and as volunteers. The more you give, the more we can give. By the end of 2018, we have awarded over $500,000 in grants to local non-profits serving women and children in our area. Because the financial status of our members varies, we offer Individual Memberships starting at only $100/year. We also embrace Corporate Members and Underwriters starting at the $600 donation level. In addition to supporting local non-profits with financial donations, Women United in Philanthropy offers an ongoing series of educational presentations to help its members become better informed and more effective donors. Click here to see a list of our Past Events. Click here for our Upcoming Events. If you have any questions or would like more information about Women United in Philanthropy, contact us at WomenUnited@UnitedWayTJA.org.